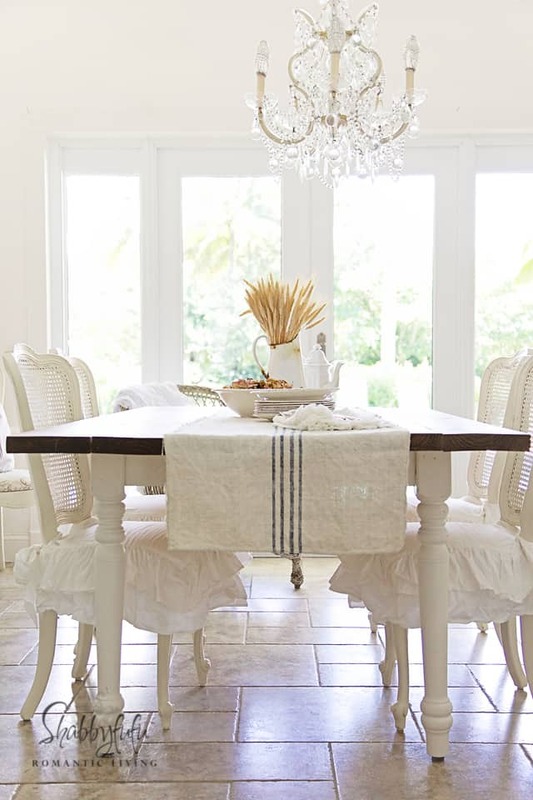 Although I did love the FRENCH CHAIRS in our home, the scale was a little bit small and undersized for the table in the dining room at our house. I told you in THIS POST…in the world of design, SCALE is the thing that I struggle with the most! 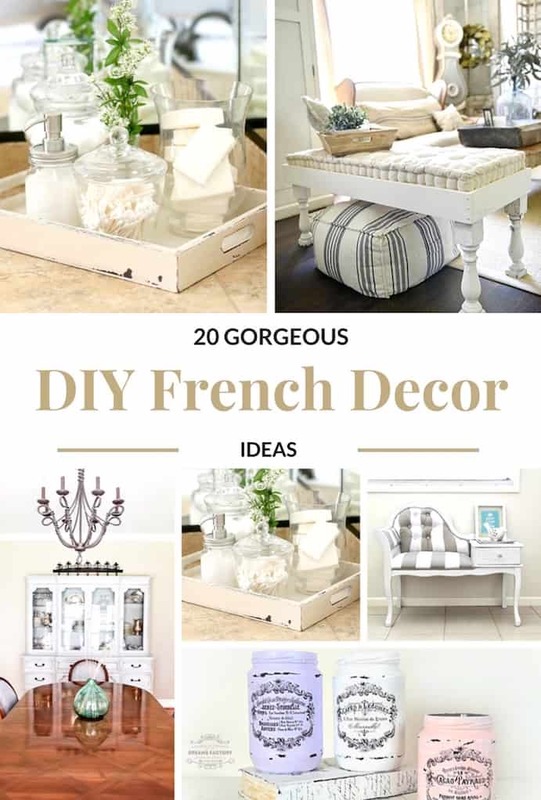 FRENCH COUNTRY DECOR mixed in with SHABBY CHIC FURNITURE is evident in most of what I decorate and style with for myself or anyone that I work with. Above is my dining room at the beach house all set for Christmas. It might be a tad early for talking Christmas, but it is almost October. The next few months are going to be flying by for sure! 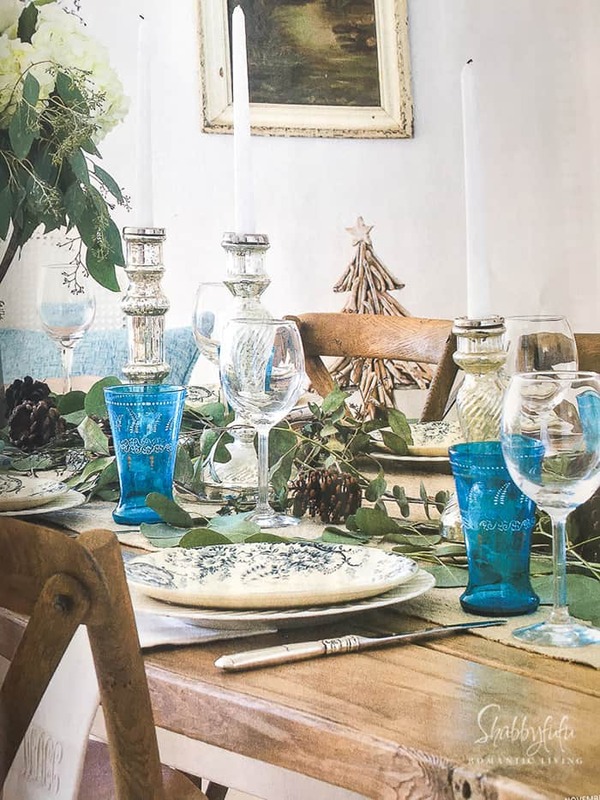 I’ve taken the image above straight from ROMANTIC HOMES MAGAZINE where I have a feature in the new November CHRISTMAS ISSUE. 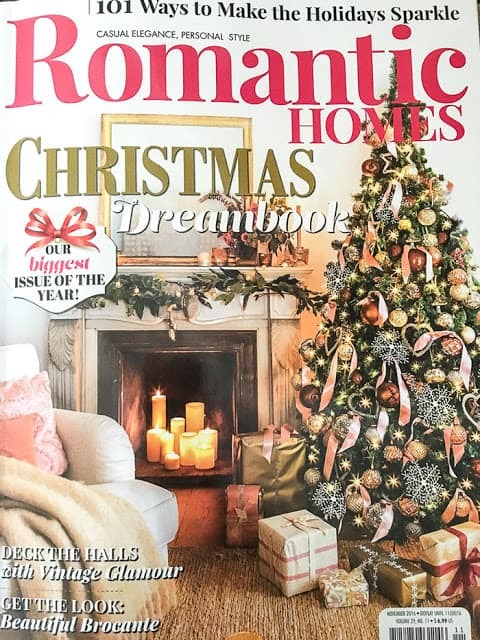 I feel very blessed to have had a wonderful long term working relationship as a stylist/photographer with the folks at ROMANTIC HOMES Magazine. 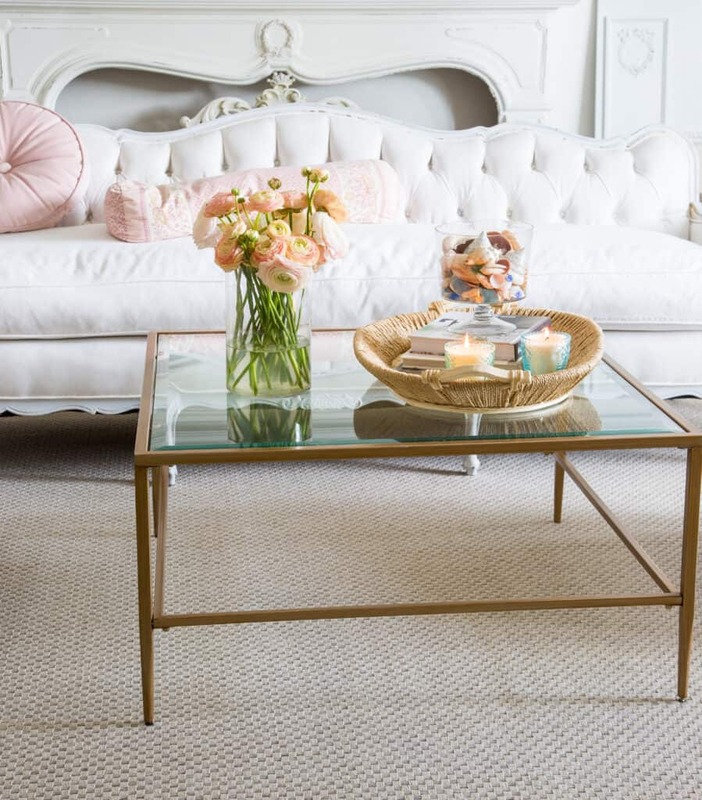 You can find more of my beach home in the CATEGORY here on the blog called BEACH HOME. We’ve been doing some decorating and I hope to do some remodeling going forward, so that’s always the place to find those posts. If you would like to look for the magazine, it should be on the news stands mid October and the cover is above. 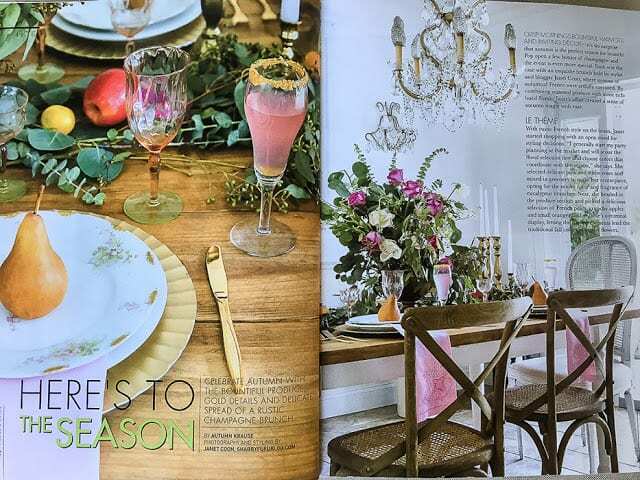 You can also find more of my recent work in the magazine FRENCH STYLE and that IS OUT on your local news stands now. Now on to the Shabbyfufu ROUND-UP below! Where is the white couch from? (Photo 3) Love!